It may surprise you to know that cholesterol itself is not bad. It actually is one of the many substances that keeps our bodies healthy. Cholesterol is a waxy substance. It comes from two sources your liver and your food. There are two types of cholesterol. Too much of one or not enough of another can leave you at risk for coronary heart disease, heart attack, or stroke. Cholesterol must be transported through the bloodstream by lipoproteins which are made of fat. There are two types of lipoproteins that carry cholesterol to and from cells: low density proteins(LDL) and high density proteins(HDL). Cholesterol is used as a building block for cell membranes and hormones like estrogen and testosterone. The liver produces most of the cholesterol your body needs. The rest come from food such as meat, poultry, dairy products, eggs, and fish. Plant foods do not contain cholesterol. 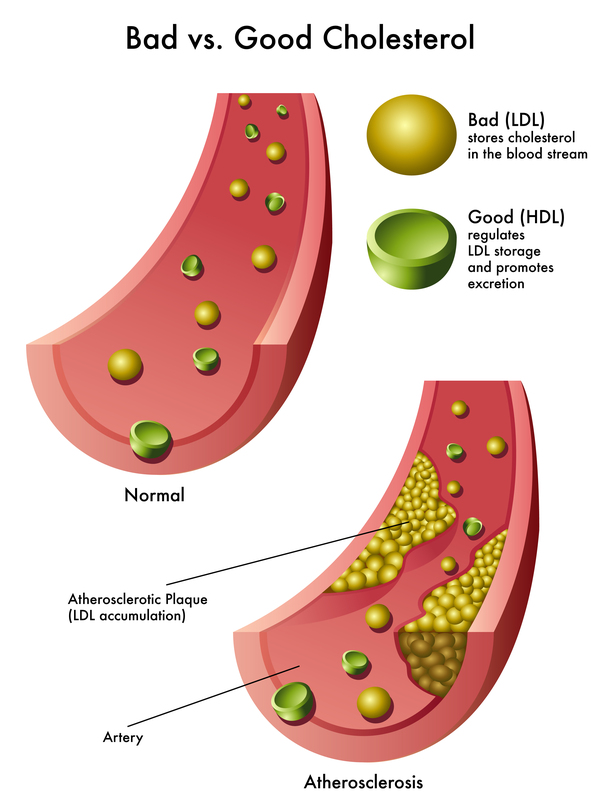 When LDL is carries cholesterol through the bloodstream to build cells and hormones, any unused cholesterol is left behind as plaque on the walls of the arteries. As HDL goes through the bloodstream it picks up the cholesterol that was deposited in the arteries. It then carries it back to the liver to be reprocessed or excreted. Another important component of cholesterol are triglycerides. They are another type of fat that is used to store excess energy from your diet. High levels of triglycerides can be caused by obesity, inactivity, smoking, excess alcohol consumption, and a diet that is high in carbohydrates. 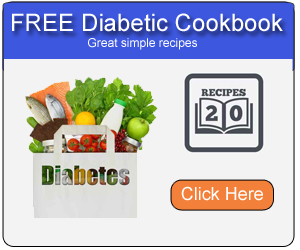 Many diabetics also have high triglyceride levels. People with high triglyceride levels often have a high LDL level and a low HDL level. There are a few changes you can make to your diet to lower your cholesterol and decrease your risk of a heart attack or stroke. Limit total fat intake to less than 25% of your total calories. In addition to your diet you should also try to lose weight, exercise, quit smoking, and drink less alcohol. There are also several medications you can take to help reduce your cholesterol levels.